ActionAid India has recently come up with a report on the issues of Land Rights in India. Land, forest and water being three major issues for the larger part of the world, the report is an important document to be read and discussed at multiple levels. 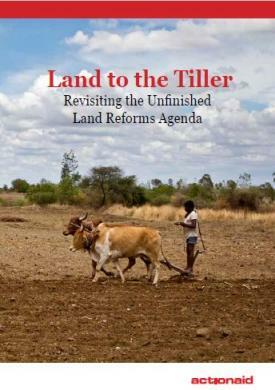 Titled as “Land to the Tiller: Revisiting the Unfinished Land Reforms Agenda”, was an outcome of the research on land reforms and the recommendations for implementation of the land reforms in 11 states (Andhra Pradesh, Bihar, Gujarat, Haryana, Jharkhand, Karnataka, Maharashtra, Punjab, Rajasthan, Tamil Nadu and Uttar Pradesh). Actionaid supported the research in these 11 states in the context of the agreement between Jan Satyagraha and erstwhile UPA government in 2012. The research reports were prepared for the MoRD. Several suggestions given by these reports were accepted by the government and formed a part of the advisories issued to the states. 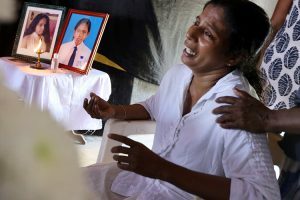 The advisories may not have strong legal backing at this stage, but in a way, they legitimize demands raised by land rights movements across the country. The research reports also give an opportunity to movements to negotiate with state governments on points suggested by MoRD. This is what makes this publication relevant today. The chapters in this volume offer a critique of existing land reforms in each state and draw attention to the loopholes in land laws. While doing so, they provide justifications for the advisories that were issued. Several other issues raised by these reports, which were not included in the advisories, are also equally relevant. This volume challenges hegemonic perception about redistributive land reforms as something belonging to the past. It demonstrates its desirability and feasibility in today’s context. The chapters in the volume identify gaps in land tenure and revenue laws from the perspective of poor peasantry and recommend specific steps for the respective states. Further, the volume resists reconceptualization of land reforms. It asserts that market-led reforms enriches the rich and impoverishes the poor. Redistributive reforms should never be allowed to be replaced by such ‘reforms’. This volume also offers an alternative agenda of land reforms. In addition to old agenda of land reforms which covered abolition of intermediary tenures, tenancy reforms, ceiling on agricultural holdings, distribution of land donated in the Bhoodan movement and restoration of alienated tribal land, this reform agenda seeks redistribution of land possessed by the state among landless persons. This includes redistribution of plantation land, the lease of which has expired. This agenda also demands conferment of ownership with respect to land owned by the state, which landless rural poor have been cultivating for a long time but they have not been able to get legal recognition of their claims over it. It also seeks allotment of house sites for shelter less rural poor, which the state is duty bound to provide under its own policies. Above all, the agenda challenges the unencumbered nature of state ownership of land, disregarding its traditional collective use by the local communities in the vicinity, and its power to transfer such land to an external agency without taking into account such use and putting in place a compensating mechanism for the loss. But the most important item of this agenda is reclaiming the rights of the people with respect to forestland and other forest resources that the state usurped from communities during the colonial period. The second dimension of the challenge to state power is regarding unfettered authority to determine land use. State’s unrestricted power to transfer acquired land to any agency and determining land use opposed diversion of agricultural land for non-agricultural purposes shall be opposed as it would compromise food security besides depriving a large number of people dependent on it for survival of their livelihoods. This reform agenda questions unfettered control that the state has over common natural resources and the discretion it exercises with respect to their management. Management decisions usually do not take into account hugely adverse externalities affecting livelihoods and dignified survival of not only the people living in the vicinity but also of future generations. The fourth agenda of alternative land reforms critiques patrilineal and patriarchal hold over land, which discriminates against women. This is reflected in biases when it comes to giving rights in land to women. With existing disparity in India, the government and civil society organizations need to work in tandem to provide equal opportunities and access to resources to all. This report/book can prove to be a great resource for individuals willing to be part of this transformation in the days to come. In a sense this volume is weapon in the hands of the oppressed. It provides research support to the demands raised by land rights movements in the country.